Beryllium copper is comprised of copper alloy and 0.5-3% beryllium that make it highly ductile, an excellent conductor of electrical current, and abrasion resistant material. Beryllium Copper is a known carcinogen when the dust that can be caused by traditional machining processes is inhaled. This is not an inherent hazard with our photochemical machining process. 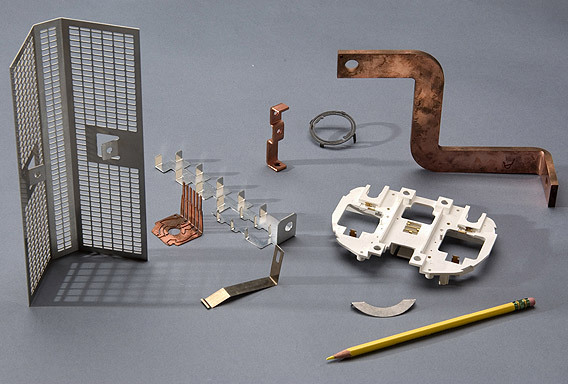 We specialize in high precision and tolerance beryllium copper parts used in various electrics applications.